Multiple problems starter after replacing engine. 2002 jeep liberty limited engine replaced by shop,after that noise started coming from A/C system. It can be heard under hood.Its a knocking vibration noise. 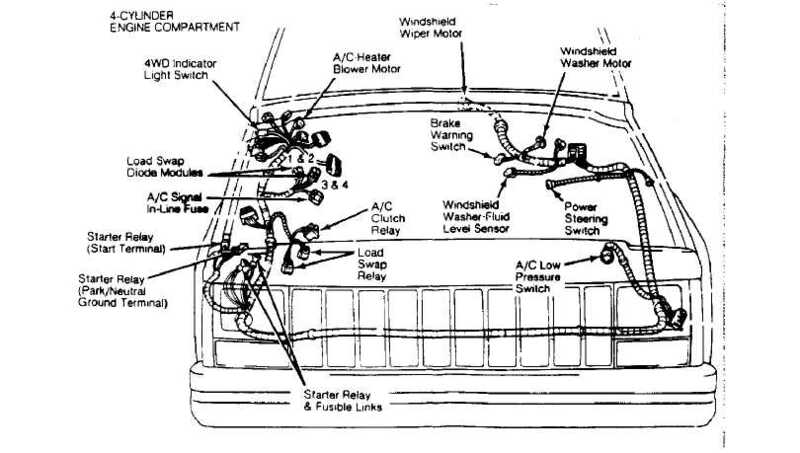 Try this test get under the hood. Grasp the A/C tube on the passanger side near the Evaporator which is near to the firewall.see if you notice the notice there. It's very possible that vibration or knock from an a/c line or the exhaust after the engine replacement. Most probably the exhaust is not adjusted correctly on the collectors and that is hitting the frame and noise is heard, or issue with trans crossmember, etc. If the flange in front of the muffler is misadjusted then it will cause the muffler to knock against the right rear lower control arm bolt, which is a great possibility in your case. INSPECT THE A/C lines.The lines are very delicate to get bent. The same goes for the a/c lines. They are soft aluminum and can be bent easily, and there is quite a bit of a/c line, wiring, and other components that have to be routed correctly under the hood or things will knock against each other. If the noise was coming from the compressor then it would be a very fast knocking noise that only happened when the compressor was engaged, and it would come from the compressor itself. You shouldn't have a question if the noise was coming from the compressor. I personally recommend taking it back to the shop that just did the engine work because it sounds like the exhaust and a/c line issues are going to be directly related to the work they did. at present the case is not worse,but can be a major issue.the noise you hear is the starting,but can increase in future and cause severe engine or A/c related issues.